Do you like Flaap.io? Share it with your friends. Flaap.io is a great multiplayer game from the popular series .io games inspired by the legendary Flappy Bird game. 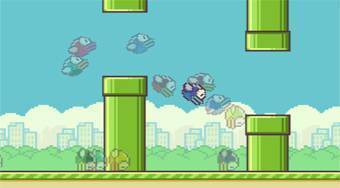 Fly along with other players from all over the world with your bird in the sky, fly through the green pipes and try to fly as far as possible.